WBCCI is the RV Club of Airstream Owners. 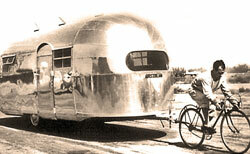 It is named for Wally Byam who was the inventor of the Airstream travel trailer. It is a nonprofit organization with headquarters in Jackson Center, Ohio. To be a member and participate in club activities, you must own a self-contained recreational vehicle made by Airstream Inc. – also located in Jackson Center, Ohio. 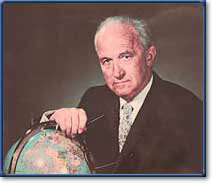 In 1951, Wally Byam conducted the first group RV Tour (Caravan) in history. He did it to encourage people to get out and use their travel trailers, to see and enjoy the world around them, and to be used as a test environment for the travel trailers he manufactured.This first Caravan traveled to Mexico. Wally continued his Caravan activity and eventually operated Caravans that traveled almost everywhere in the world. It was on one of these Caravans to Eastern Canada in 1955 that the Wally Byam Caravan Club International was formed.The goal of the club was to foster Fun, Fellowship, and Adventure as members enjoyed the lifestyle offered by traveling in an Airstream. As the club grew (to more than 25,000 members at one point), more management and organization was required. An organization of Units (local), Regions (several states), and National (the whole club) was created to better respond to the members needs. If you own any trailer or motorhome manufactured by Airstream, Inc., WBCCI offers you fun and exciting opportunities to enjoy your Airstream and the RV Lifestyle. Whether you are traveling with your children or have retired to travel the world, you can do it best in the oldest and finest RV association, the Wally Byam Caravan Club International (WBCCI).